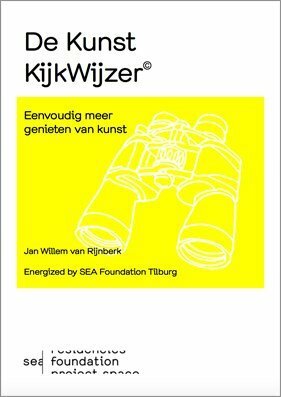 The year 2017 marks a new alliance between art writers and SEA Foundation. 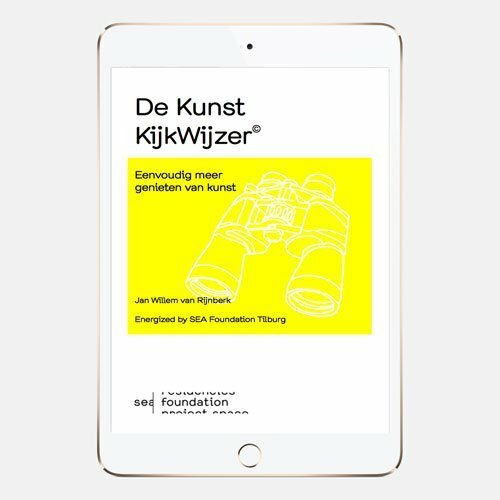 During the year a new series of e-Books will appear in both Dutch and English about special chosen topics in contemporary art and the artists’ practice. The first two who we launched now are both out of this spectrum. 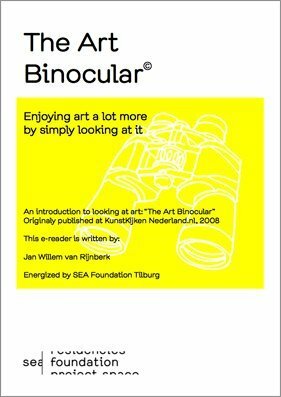 ‘The Art Binocular’ is an introduction on art appreciation. 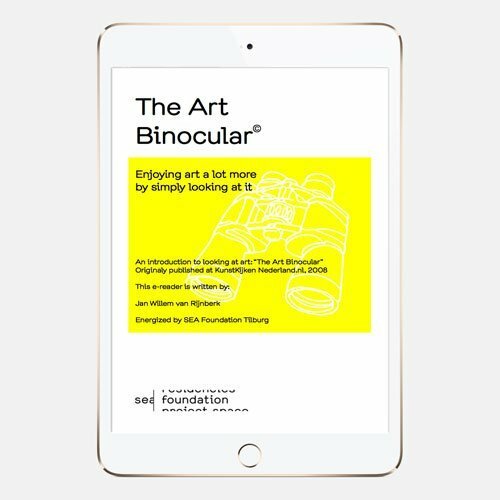 An easy way to engage to enjoy contemporary art. ‘How to approach a gallery?’ written by primary art market expert Jenny Judova give a welcome insight in the relation between artist and gallery, art-sellers, art-buyers, the artist role and that of the art-collector and the art-dealer. A must read for anyone who want to have a better comprehension of how the art scene and the art market functions. 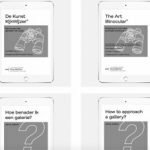 New e-books are due to appear every few months, themed by all that is nice -or need- to know to enjoy contemporary art, or to propel forward the artists’ practice. If you became curious by ‘the sneak peek inside’ here below, please don’t hesitate buy the the PDF e-book of your choice in our shop.